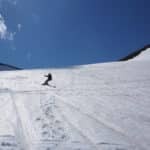 1 day ski touring at Mt Norikura, in the Hida Mountains of Japan North Alps to enjoy fine powder snow with Yu, JMGA certified mountain guide. 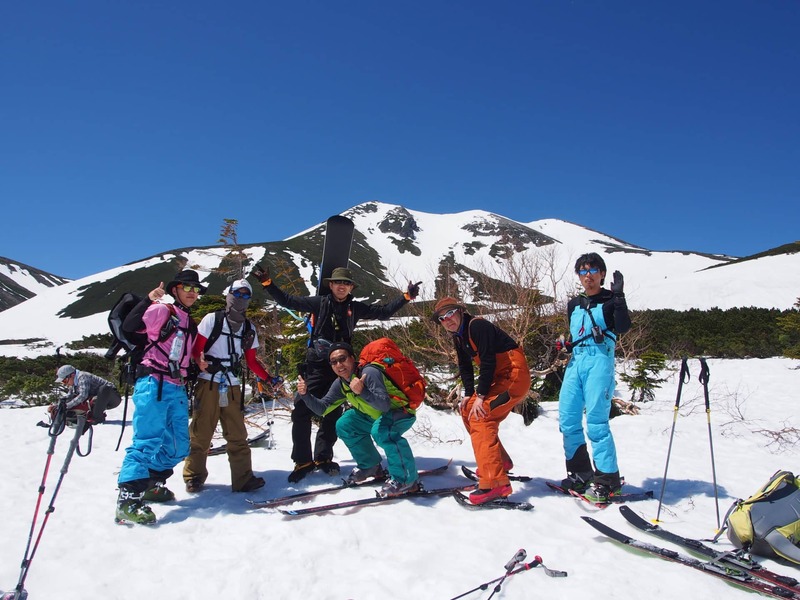 Why not enjoying backcountry ski at one of the most popular sites in the Japan Alps? Mt Norikura is located in the southern side of North Japan Alps. We can enjoy backcountry skiing in scenic mountains reaching altitudes of about 3,000m. The peak of the Norikuradake area is Kengamine (3,026m). One of the reasons why Mt Norikura is popular among skiers is its easy access. Also, the great panorama view from the summit strongly attracts people. First, we will go up to Kuraigahara (2,350m) by bus. And I will take you to the area where there are no other people. 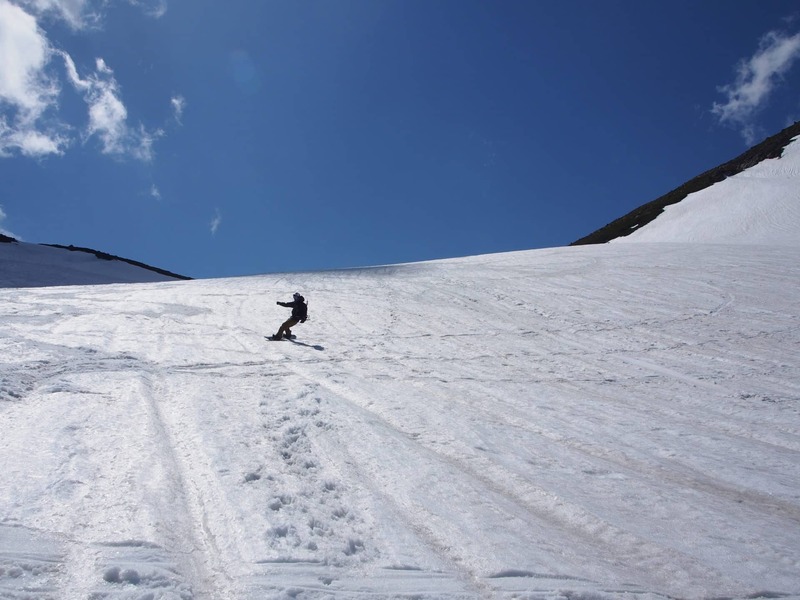 You can fully enjoy the experience in high grade granulate snow. If the weather allows, you will see the breathtaking views of Japan Alps and ski down on slope to Sanbon-taki (Three waterfall). 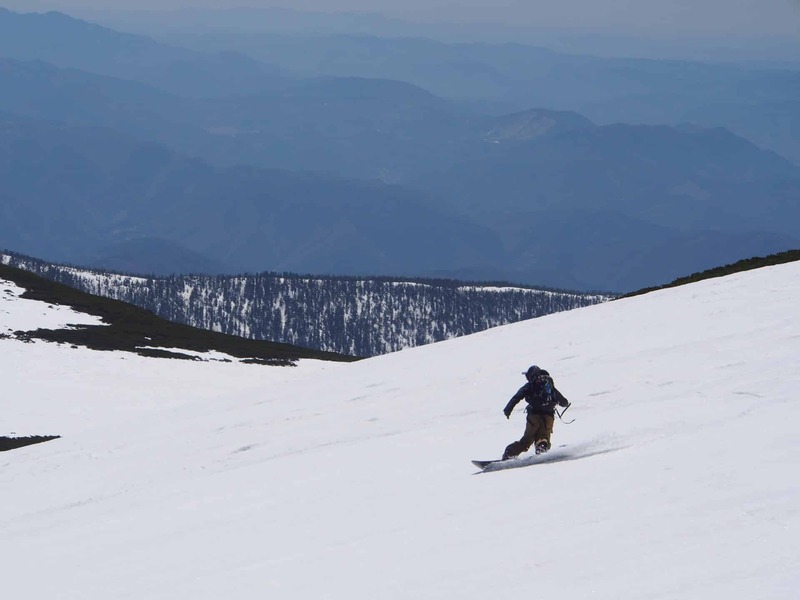 Our tour will finish around 2:00-4:00 p.m.
You will love to spend a whole day backcountry skiing in the quiet slopes. Join me in Mt Norikura and have a great time! For this trip, you don’t need an advanced technical level. But you need to be in good physical shape to endure a long hike-up. 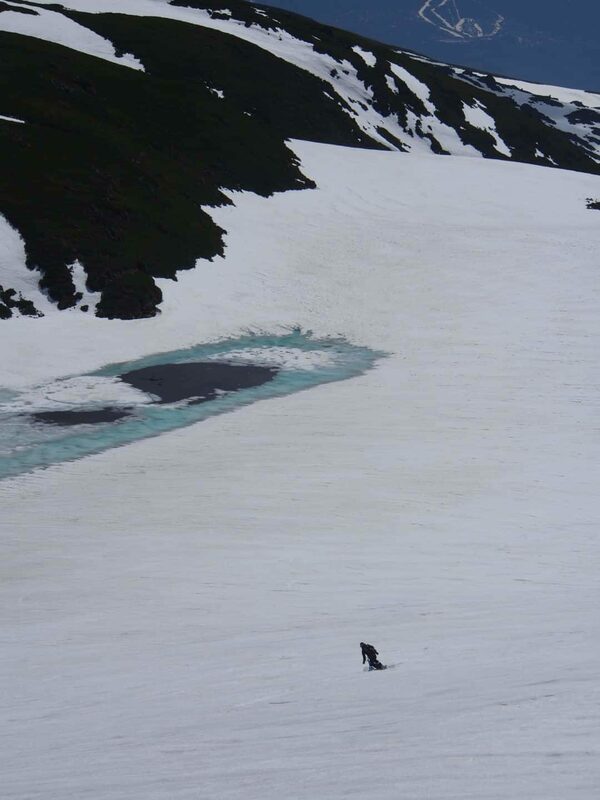 And finally, you need good backcountry / ski touring experience with hike ups in skins / snowshoes. There might be a photographer joining the group. Even if a photographer doesn’t join the tour, I will be taking photos of the trip. Do you find this proposal tempting? Then please contact me for a fun day in the mountains! And if you are looking for a longer trip, check out my 3-day backcountry ski in Mt Yarigatake! For groups of over 5 people, I will bring a guide friend so we have 2 guides in a group. *Poles are not for the skiers. You can purchase tour photos at the end, which costs JPY5,000 per person for all data and JPY700 if you only want one piece of photo data. 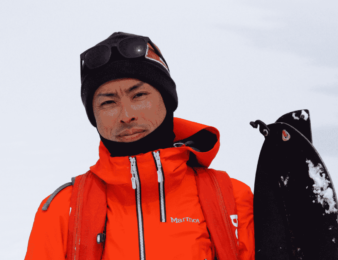 I am a backcountry ski guide with JMGA hiking level 2 and ski / snowboard guide level 2 certifications, based in Hakuba. I was born in Aichi prefecture in Japan and started snowboarding in my early teens. Before I knew it, I was snowboarding everyday in the winter and in my final year of high school, I moved to Iwate prefecture in Tohoku (northern tip of Honshu, known for big snow falls) to freeride everyday. I became a professional snowboarder, and since 2002, I have been a ski / snowboard guide based in Hakuba. I wanted to share the experience and fun I have had in the mountains with many other people in a safe manner with the right education and so I started my own backcountry guide company in 2012. 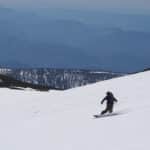 Myself and all the other guides at my guide company are on splitboards and so we welcome snowboarders and skiers alike. Given my snowboarding background, I know how difficult it could be for a snowboarder to follow a skier's line!! I'm also trained and certified by Japan Avalanche Network and Wilderness First Aid, and am a member of Japan Emergency Rescue Team. 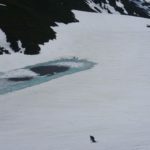 When I'm unavailable the guides at my guide company that I trust, with sufficient Avalanche training, Wilderness First Aid as well as much guiding experience at my guide company (some with JMGA certification as well) will be able to guide you. Please contact me if you're in Hakuba and want to explore the backcountry of the beautiful North Japan Alps, away from the ski resorts!! Great tour in the beautiful mountains of Hakuba with waist deep powder! Sick riding! !